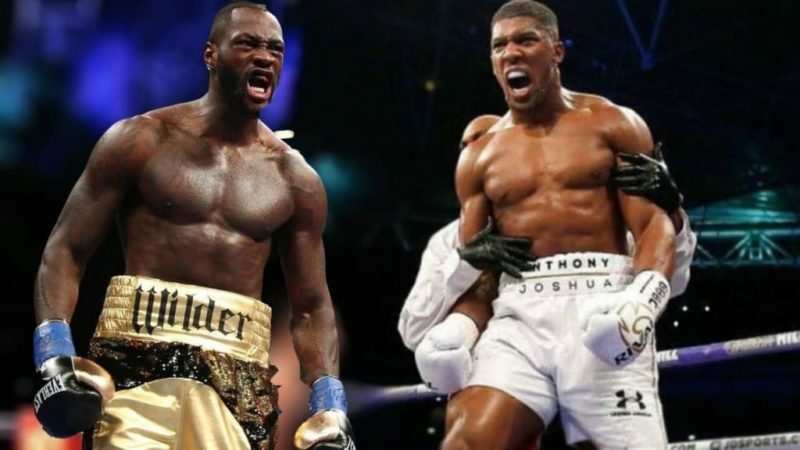 World heavyweight champion, Deontay Wilder and Britain’s Anthony Joshua have reportedly agreed terms to world heavyweight unification fight in the UK in autumn. Wilder confirmed on Twitter on Tuesday that he had accepted an offer to fight Joshua in the UK but said a US$50million offer was still on the table for their bout to be held in the United State. Should Joshua fight Wilder next, the winner would become the first heavyweight to hold all four recognised world titles simultaneously. “Today I even agreed to their offer to fight Joshua next in the UK,” the 32-year-old American wrote. Wilder’s manager Shelly Finkel told ESPN they had officially accepted terms to a fight in the UK. “Deontay sent an email to Joshua [Sunday] night, and I sent one [Monday] to Barry Hearn and Eddie telling them that we officially accept the offer to fight under the terms they gave us and to send us the contract,” he said. The American holds the WBC title and wants a unification bout with Joshua, the WBA, IBF and WBO champion. Joshua’s camp has not yet responded to the claims by wilder, but latest reports says Joshua’s manager Hearn contacted the 28-year-old Tuesday morning to discuss the latest developments with the deal. Russian Alexander Povetkin is the WBA’s mandatory challenger and close to a deal to fight Joshua, although Joshua could face Wilder first if Povetkin is able to fight the winner.